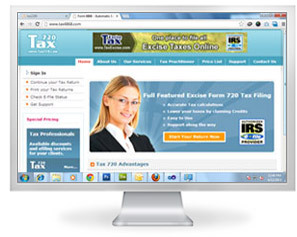 We enable tax payers to get instant online tax filing acceptance from IRS. Consequently we make online tax return filing as a very easy process. With our online tax filing procedure tax payer can claim credits using Schedule C. Thus our online tax software supports tax claim in an efficient manner. Our online tax return filing features help the tax payer to send tax returns to the IRS within minutes of their filing. Consequently online tax return filing is made faster and accurate. Our e file federal tax facilities help tax payers to view the status of their e file tax return immediately after receipt by IRS. Thus tax payers get acknowledgement for their IRS electronic filing immediately. Our tax return software offers free trial options. tax payers can pay only when they are ready to file. Thus there is provision for easy tax return. Using our tax return software tax payers can get email support 24/7 and speak to expert from Monday through Friday from 8 A.M to 8 P.M EST. Tax payers can receive tax help and support for Tax 720 and Schedules. Our FAQ section provides tax help addressing the general queries raised by tax payers. With our online tax e-filing software taxpayers can only pay for what they file. Taxpayers can easily add more taxes as they require. By means of online tax return filing with us, tax payers save money effectively. When tax payers import automobiles which are classified as Gas Guzzlers by the IRS, they are liable to pay Excise Tax and we support this kind of filing too. Environmental tax: The tax collected on oil spill liability, ozone depleting chemicals (ODCs) and floor stocks tax on ODCs. Communication tax: Tax on communications services. Air Transportation Tax: Tax on transportation of persons or property by air. Percentage Tax: Tax for amounts paid for taxable transportation of persons by air. Domestic Segment tax: The amount paid for each domestic segment of taxable transportation of persons by air. Gas guzzler tax: Tax on gas guzzling automobiles is gas guzzler tax. Vaccine Tax: A tax imposed on the sale or use of a vaccine manufactured, produced, or entered into United States. Floor Stocks Tax: Tax imposed on ODC held (other than by the manufacturer or importer of the ODC) on January 1 for sale or use in further manufacturing. The person holding title (as determined under local law) to the ODC is liable for the tax, whether or not delivery has been made.